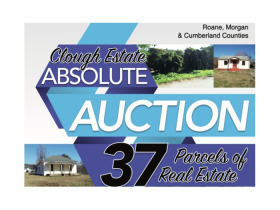 Absolute Auction - Clough Estate 37 parcels of Real Estate | Fowler Auction & Real Estate Service, Inc.
Mar 17, 2018 Saturday March 17th at 10 A.M.
Cash or good check accepted, no debit/credit cards accepted. Online bidders will also submit cash/check. To see a property, call Clough Properties @ 865-882-8600. Click on view catalog for catalog. Online bidding now open. 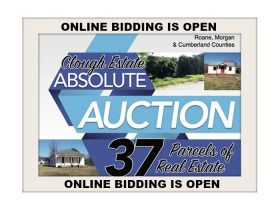 Winning online bidders will be contacted at auction end with instructions regarding contracting and submitting funds. Auction in Cooperation with Stephenson Realty & Auction. Saturday, March 17th, at 10 A.M.
Bid Live or Online! Online bidding is open. 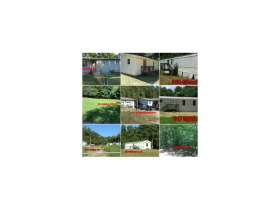 Property Located in Roane, Morgan, and Cumberland Counties. Winning online bidders will be contacted at auction end with instructions for contracting and submitting funds. 1. 224 Roane St., Harriman – Commercial lot fronting on HWY 27 S. Roane St. water, sewer, gas, electric. Metal garage being used as Hilltop Auto Sales & Service Center. 2. 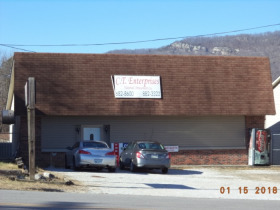 509 Roane St., Harriman – 1,248 sq/ft commercial building on HWY 27 N. Roane St. Downtown. 3. 1246 S. Roane St., Harriman – 1,500 sq/ft commercial garage building, fronting on HWY 27 S. Roane St. & Old Valley Rd., all utilities available, detached carport unfinished. 4. 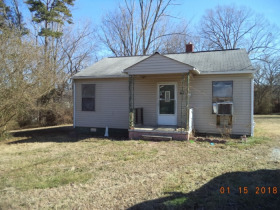 1944 Ruritan Road, Harriman - 6 Acre commercial lot with a 3BR Doublewide with 2 baths and (2) older single wide mobile homes that need repair. 5. 108 Powell Ave, Harriman – Commercial block building, central H&A, office/shop location, kitchen, 2 baths, 3 offices, waiting area, reception area, lots of storage, 1,760 sq/ft. 6. 204 Carlock Ave, Harriman – 1,092 sq/ft home water, sewer, gas & electric available. 2 BR, bath and built in 1942. 7. 219 Carlock Ave, Harriman – 920 sq/ft, bath, detailed unfinished garage, 2BR, built in 1940. 8. 102 Carroll Dr., Harriman – Pine Hills Subdivision, 2BR, 848 sq/ft, bath, central H&A, corners Carr & Carroll, built in 1944. 9. 435 Carroll Dr., Harriman – 1,061 sq/ft, bath, 2BR, built 1942. 10. 509 E. Dunn Street, Rockwood – 672 sq/ft, bath, 2 BR, older home, utility building, built 1958. 11. 201 Emory Heights Rd., Harriman – Home with 670 sq/ft, plus 14’ x 66’ mobile home, water, sewer, gas, electric available, large lot. 12. 711 Joiner Hollow Rd., Rockwood – 896 sq/ft, central H&A, bath, 2 BR, built in 1953. 13. 134 Lincoln Dr., Harriman – 624 sq/ft with a unfinished basement, bath, large patio, corner of Washington and Lincoln, central H&A, 1 BR up, 1 BR down, built in 1930. 14. 113 Long Dr., Harriman – 930 sq/ft home, 2 BR, bath, Pine Hills subdivision, built in 1940. 15. 204 Long Dr., Harriman – 775 sq/ft home with basement in Pine Hills subdivision, central H&A, bath, 2BR, built in 1944. 16. 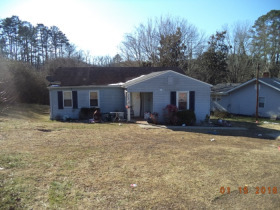 117 Love Dr., Harriman – Home with 2 BR, bath, new roof, needs some updating, detached unfinished garage, central H&A, in the Pine Hills subdivision, built in 1944. 17. 119 Love Dr., Harriman – 1,300 sq/ft, 2 BR, 2 baths, efficiency apt, in Pine Hills subdivision, built in 1944. 18. 125 Love Dr., Harriman – 1,128 sq/ft, 3 BR, 2 baths, garage, in Pine Hills subdivision, built in 1944. 19. 130 Love Dr., Harriman – 1,204 sq/ft, central H&A, 5 BR, bath, corner of Love & Carr, big yard, built in 1944. 20. 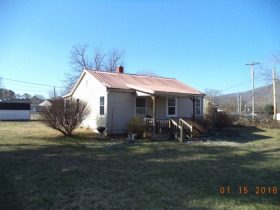 310 Massengill Springs Rd., Harriman – A 2BR home needing repairs with approx. 912 sq/ft and built in 1964. 21. 201 N. Trinity Ave, Rockwood – 1,107 sq/ft, 2 BR, bath, center H&A, out building, built in 1960. 22. 132 S. Third St., Kingston – 840 sq/ft home, central H&A, 2 BR, bath, brick rancher, basement, corner of 3rd & Church, built in 1955. 24. 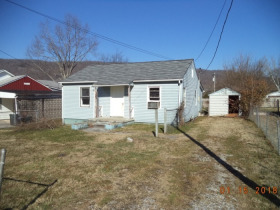 315 Old Valley Rd., Harriman – 14ï¿½x60, 2 BR mobile home. 25. 3077 Harriman HWY, Harriman – 27’x66’ double wide, 3 BR, 2 baths, with a 30’x24’ detached garage. 26. HWY 27, Morgan County – 12’x65’ single wide mobile home on 1.72 acre lot. 27. 1907 Ruritan Rd., Harriman – 70’x14’ mobile home with addition, unfinished detached garage, large lot, no title. 28. 605 W. Wheeler St., Rockwood – 2 BR mobile home, 14’x66’, no title. 29. 607 W. Wheeler St., Rockwood – 1995 Crimson 16’x80’ mobile home. 30. 917 N. Wilder Ave, Rockwood – 1996 mobile home 14’x46’, 2BR, needs repair, no title. 31. 243 Woody Ave, Harriman – 28’x64’ doublewide, 3BR, 2 baths. 32. 730 Bluff Rd., Harriman – water, sewer, electric available, paved road frontage. 33. 1406 Margrave Drive, Harriman - water, sewer, electric available, paved road frontage. 34. 2033 Menasha Dr., Crossville – lot 337 in Comanche subdivision, water, gas, electric, restricted, no soil test has been done. 35. 301 Pine Ridge Dr., Harriman – 1 acre vacant lot with water and electric, lots of road frontage. 36. 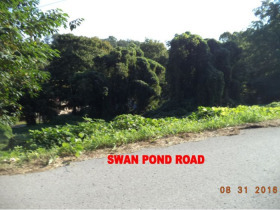 110 Swan Pond Rd., Harriman – vacate lot an old home place site that has burned down, water, sewer, gas, and electric available. 37. 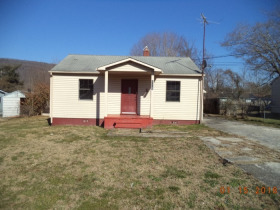 813 Unaka St., Harriman – small vacant lot with water, sewer, gas and electric available. Real Estate: 10% Down day of auction, balance upon closing within 90 to 120 days. Homes built before 1978 will have a 10 day period prior to the sale to inspect the homes for the presence of lead base paint. Information is derived from sources derived to be true, but not guaranteed. Buyers should inspect all properties prior to bidding. All properties are being sold as is with any and all faults. Announcements day of auction take precedence over all written or oral statements. Properties may be added or removed prior to Auction day. •	The real estate being sold is all part of real estate owned by Tony Clough and/or one of his sole proprietorships, National Amusement or CT Enterprises. •	For the properties that were purchased by Mr. Clough as a part of a tax sale, a title opinion only can be issued which will reflect any and all encumbrances against the property. Title insurance cannot be offered or purchased for these properties. Title One staff will be there at the auction and will be available to answer any questions in this regard. We will have a copy of all of the Estate’s deeds at the auction and should be able to let anyone know if the property they are interested in is a tax sale property or not. It is the buyers responsibility to inquire regarding this PRIOR to bidding.  •	For properties purchased by Mr. Clough at tax sales that are improved with mobile homes, it is quite likely that the estate will not be in possession of the original title to the mobile homes. Each property designates whether or not the mobile home title will be available to transfer from the Estate. If the estate does not have the title, the mobile home will be transferred by a bill of sale only. No warranty will be provided. The purchase/sale of these tracts should be considered land only. •	Property taxes will be prorated to the date of closing. •	Each buyer is encouraged to have the title searched on the property on which they bid prior to closing. If they need a recommendation for a local title company, refer to Title One. Representatives of Title One will be present to answer any questions. These representatives will also be able to quote costs for title insurance and other closing costs that would be expected to be paid by the buyer as a standard part of any real estate closing. •	The Buyer will be expected to pay ½ of all closings costs, the title search and title insurance, if applicable, and all recording fees/transfer taxes. The Seller will pay for the preparation of the deed and ½ of the closing costs. •	Any liens or other encumbrances found against any tract of land will be satisfied by the Seller prior to or at closing. •	Successful internet bidders will need to contact the office on the first business day immediately following the close of the auction to make arrangements for the 10% down payment.